Interviews with food shelf clients have led to healthy changes inside and outside the Bemidji Community Food Shelf. 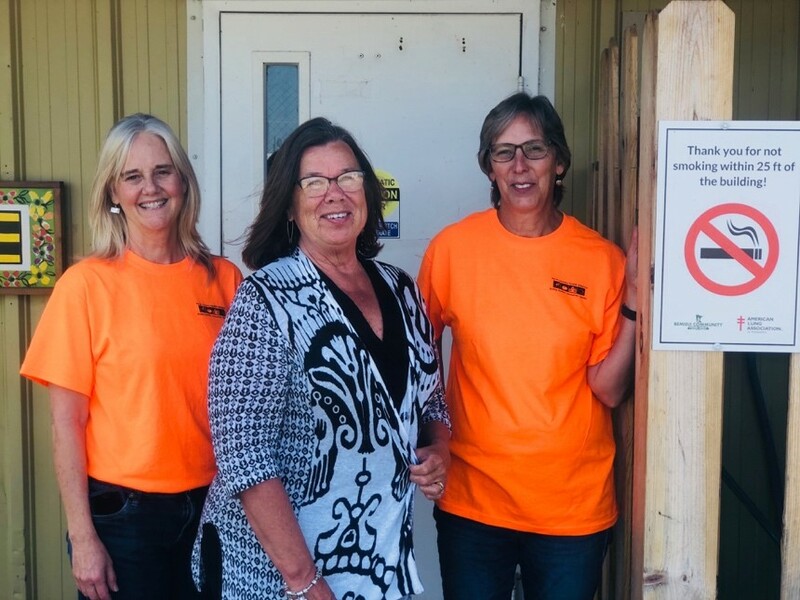 Julie Flathers (North Country Health Alliance), Pat McKone (American Lung Association) and Lynn Riggs (North Country Health Alliance) next to the new No Smoking signs installed at the Bemidji Community Food Shelf. 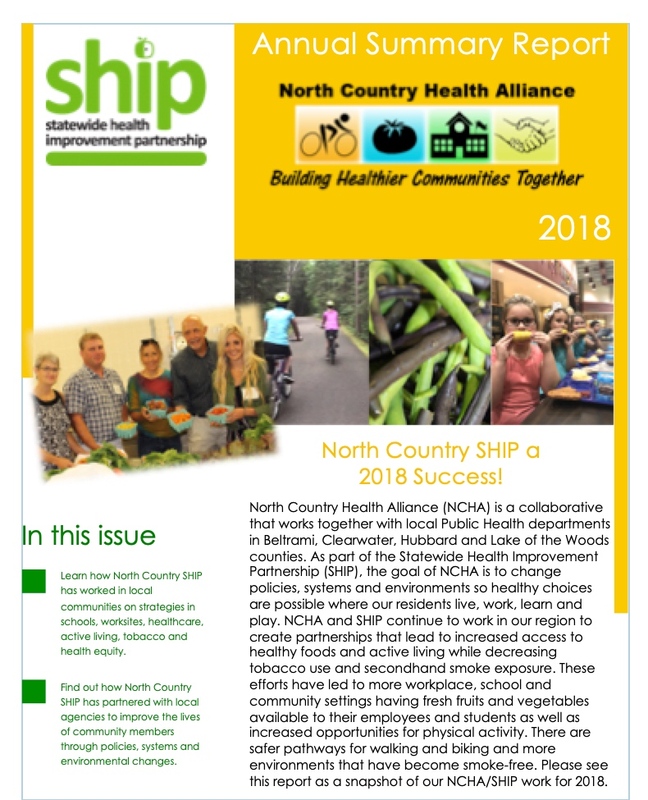 In 2016, North Country Health Alliance (NCHA) staff interviewed food shelf clients as part of a pilot program to find the root causes of health inequities. NCHA, the Statewide Health Improvement Partnership (SHIP) grantee working in Beltrami, Clearwater, Hubbard and Lake of the Woods counties in north central Minnesota, found that residents with lower incomes in Beltrami and Clearwater counties had much higher rates of tobacco use and chronic diseases than residents with higher incomes. Food shelf clients were asked what factors they thought contributed to these differences. Alongside factors that need long-term attention, NCHA staff and their partners at the food shelf noticed that a lot of the comments could be addressed quickly. Clients said they sometimes walked through secondhand smoke to get into the food shelf, and that they had a difficult time finding information about health issues and social services. Now, the food shelf has a different look for the 3,000 households they serve annually. No Smoking signs greet clients at all of the entrances, and a resource rack in the lobby has information on a range of topics that clients asked for, such as smoking cessation, job coaching and Meals on Wheels. While work continues to address healthy eating and tobacco-free living, the small changes suggested by food shelf clients have already made a big difference. This project was supported by the Minnesota Department of Health’s Statewide Health Improvement Partnership.